A few years ago, I had a chance to debate the issue of 9/11 Truth on Air America radio’s Thom Hartmann show. My opponent was Skeptic Magazine’s Michael Shermer, an avowed supporter of the government story. It was an interesting experience and some good information was communicated, although the format did not allow for a detailed discussion. The debate did not fully settle the question of which outrageous conspiracy theory was the most plausible, but it did provide another helpful example of how Americans are continually being asked to accept the opposite of what they know to be true. The debate was widely anticipated in some circles, partly because it took months for Hartmann’s producer to find a legitimate defender of the official version of 9/11. Apparently those who knew something of the official story would not publicly support it, and those who would publicly support that official story didn’t know anything about it. That fact in itself is a testament to the progress made by the 9/11 Truth Movement. After receiving an unsolicited email from Shermer, I invited him to join me for the Hartmann debate. From Skeptic Magazine’s “9/11 Conspiracies” issue in 2006, it was clear that Shermer was also unaware of many facts about 9/11, and the official explanations for the events of that day. But he was well known for his stance on the issue, and I felt this was a chance to follow-up on Hartmann’s offer. With that in mind, I approached the debate carefully, with respect for my opponent, the audience and the host. It didn’t take long to understand Shermer’s position on 9/11. He didn’t bother with facts about the events themselves, and appeared to be motivated only through a monster-under-the-bed perception of “conspiracy theories”. Even after admitting that the official version of events is itself a conspiracy theory, he maintained that conspiracy among oil company executives and politicians is somehow unbelievable, while conspiracy solely among people who just happen to live on the last remaining oil-rich land is to be expected. Additionally, my opponent’s performance showed that he is not what most people would call a skeptic, at least not in matters that are important to people. I had suspected this myself, and had to check the definition of skepticism to be sure. What I found was that skepticism is about questioning claims that are generally accepted, or are given by supposedly authoritative sources. Skeptics are not people who simply take contradictory positions without regard for evidence, however, and after rational discussion skeptics usually agree with the case that best fits the evidence. At the start of our debate, Shermer responded to my own skepticism about the history of al Qaeda by suggesting that our government gets in bed with bad people all the time. At that point, I wasn’t sure whose side of the debate he was on. But it soon became clear that he was only ready to talk about the demolition hypothesis, and then only in the sense that he wanted me to prove that hypothesis. It was gratifying to know that this last remaining, relatively legitimate defender of the official story had only a few points of unsubstantiated speculation to support his supposedly reasoned skepticism. My opponent was clearly not skeptical of any of the claims made by the only authoritative source on the topic, the U.S. government. He had no response when I asked how each and every member of the U.S. chain of command could have been indisposed for just those two hours on September 11th, or how al Qaeda could have been behind the effective stand-down of the nation’s air defenses during that time. He could not say why the 9/11 Commission left so many of the most important facts out of their report, or what it meant for US government scientists to finally admit that they could not explain the “collapse” of the Twin Towers. His final plea was that we just accept that al Qaeda did it because they said they did it, and we should take them at their word. This strange approach to skepticism is a good example of the growing attempt by some government and corporate media representatives (Shermer also works for FOX TV) to convince us to believe the opposite of what we see and hear. We’re told that the best way to stop terrorism is to start endless wars in the Middle East, and the best way to protect our freedoms is to give up our freedoms. We’re also led to believe, paradoxically, that anyone who questions the government’s conspiracy theory is a “conspiracy theorist”. Shermer’s take on 9/11 shows us what happens when people simply believe things without evidence. He responded to factual information by generating diversionary questions of motivation, and by appealing to authority. Oddly enough, Dr. Shermer deferred to Popular Mechanics, the subject of my last blog post. 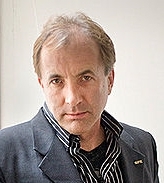 In Shermer’s case, this “believing brain” approach also means making wild, and obviously false, claims such as that he had watched all of several thousand online videos during the 2-minute break in the debate, and that they all supported his contention that demolitions could only be top-down. It is only on this absurd playing field that we can possibly accept Michael Shermer as an exemplary skeptic. His Skeptics Society is not skeptical of authoritative claims that affect the lives of average people, like 9/11 or electronic voting machines or corporate media consolidation. Instead, Shermer and his group are skeptical of random non-authoritative claims, like those about UFOs, or the belief in God. It seems possible that his skepticism has more to do with supporting business interests than it has to do with reason. Regardless, when someone who is clearly non-skeptical is promoted as the ideal skeptic, we are being asked to take another step away from reality. That may smell like a pile of manure to some, but as a Buddhist teacher might say, it is exactly the kind of manure that we can work with. That is, when we have an opportunity to notice the root causes of our own weaknesses, the ones that ultimately cause us the most pain and suffering, we can use that opportunity to help find our way back to reality, and back to a greater truth. Therein lies the real value of 9/11 skepticism. In the end Shermer and I did agree on one thing, and that is that the truth about 9/11 is likely to be simple. His version of simple, however, is that terrorism amounts to just so many astoundingly lucky acts of random vengeance, with the Gods of Science turning a few blind eyes here and there. On the other hand, to me the simple truth is more likely to be that terrorism is a co-opted tool, used by a powerful few to help secure their long term strategic interests. In any case, when such truth becomes not only simple but also painfully obvious, it is imperative that we all become true skeptics. A transcript of the Air America/Thom Hartman 9/11 Truth Debate can be found at 911Research.com. I believe it is a mistake to try to “debate” a denier of 9/11 Truth without access to visual evidence. Television, including YouTube, yes, radio, no. arguments of evil demon and brain in vat does not discount that “you are”to a certain degree, it does not disprove “I am” although you may have this “I am” experience artificially created. Being a true skeptic, I still believe there is a way to be skeptical about “I am”, but I don’t know how to disprove it. What do you think? You are right Kevin. Shermer is not a real skeptic. He only questions anything that challenges orthodoxy, but never orthodoxy itself. This is not the real definition of skepticism. Most likely these pseudoskeptics are shills or disinfo operatives with a vested interest. They definitely aren’t truth seekers. I have a whole website about them that confirms what you wrote, called SCEPCOP. In their indefensible position, all the conspiracy debunkers have done is continually argue that the fire was hot enough to weaken the steel, and leave it at that, while totally ignoring the fact that weakening (or melting) the steel would NOT have caused the 500,000 ton structure beneath the fire and impact point to collapse at near free fall velocity as though it suddenly became weightless. One cannot simply turn 500,000 tons to 0. This is a key fact that they cannot deal with, so they simply block it out of their minds and try to change the subject. Thus it is their Achilles heel, as mentioned earlier. This metallurgical report (appendix C) was the only peer-reviewed part of the entire paper, and contains the words: “..which liquefied the steel.”), the iron microspheres, disassembled superstructures, pulverized concrete, 1120 bodies still unaccounted for, the squibs, 100 day underground fires with wildly excessive temperatures, molten steel & iron, documented by different sources, the red thermitic chips, WTC 7’s implosion, the Bush Administration’s refusal to properly investigate, the disposal of structural steel, -and so on, and still deny that explosives must have been involved. They see nothing wrong with the fact that neither FEMA nor NIST ever tested for explosive residues, despite the abundance of evidence indicating the use of explosives. Shermer is on the wrong side of history. Whether he is willfully in denial or otherwise incapable of seeing the obvious, he and those like him are none-the-less, helping to cover up for mass murder, treason, and crimes against humanity. I read this somewhere: 2% think, 3% think they think, and 95% will die rather than think. I have a good friend with degrees and considers himself an intelligent skeptic, he likes to use Occam’s razor for 9/11. Not because it explains anything for him but because it settles the issue for him, he’s happy there, and information about 9/11 may upset his golf game; he accepts this. Often, I wish I were still there; my life was so much easier and so was my golf.